WHEN a smattering of leaders gather this weekend in Kigali to mark the 25th anniversary of Rwanda’s genocide there will be one conspicuous absence: French President Emmanuel Macron. Several African leaders and Belgian Prime Minister Charles Michel are expected at events commemorating the 1994 massacre of an estimated 800,000 Rwandans, most of them minority Tutsis slayed in a dark chapter of Africa’s post-colonial history. Macron too was invited, a move which had been hailed as sign of a fresh start in relations after two decades of turmoil over Rwanda’s claims that France was complicit in the genocide. 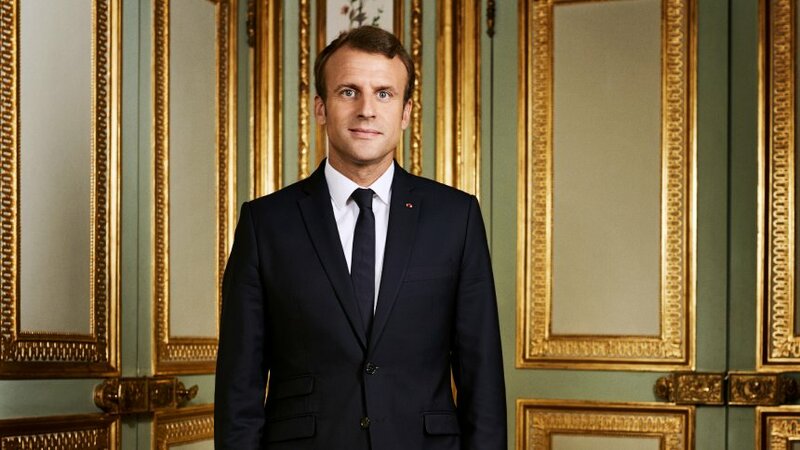 Forty-one-year-old Macron has presented himself as the face of a new generation of French politician unburdened by the country’s murky past in Africa. But he turned down the invitation from President Paul Kagame, disappointing those hoping for a grand gesture of reconciliation on the French side. ‘He did not have the courage to see the process through,’ said Francois Gaulme, researcher at the French Institute of International Relations. Had he accepted, Macron would have been only the second French president to visit Rwanda since the genocide, which has cast a long shadow over Franco-Rwandan relations. Kagame, who led the Tutsi rebel force that overthrew the genocidal Hutu regime, accuses France of having supported the ethnic Hutu forces behind most of the slaughter and of helping some of the perpetrators to escape. Then French president Francois Mitterrand had backed the Hutu-led government in Francophone Rwanda — a former Belgian colony — to counter the influence of neighbouring Anglophone Uganda, home of exiled Rwandan Tutsi rebels. France has always denied being complicit in the genocide, saying that UN-mandated French soldiers deployed in Rwanda in the final weeks of the genocide did their best under difficult circumstances and saved thousands of lives. During a visit to Kigali in 2010, former president Nicolas Sarkozy broke new ground by admitting Paris had made ‘serious errors of judgment’ in Rwanda. While falling short of an apology, the admission was seen as a breakthrough, prompting Kagame, who had at one point broken off ties, to visit the French capital a year later. The relationship hit turbulence again, however, under Socialist president Francois Hollande, but Macron’s election set the stage for a new chapter. During a visit to Paris in 2018 Kagame appeared impressed by the young Frenchman, later praising him for taking a ‘fresher’, less paternalistic approach to Africa than his predecessors. ‘It’s a change from the neo-colonial positions of the past,’ he told Jeune Afrique magazine. Macron himself pledged a more ‘pragmatic’ approach to Rwanda and threw his weight behind Rwanda’s candidate for the head of the Organisation Internationale de la Francophonie, who went on to clinch the post. But faced with the invitation to Kigali, his presidency cited scheduling problems and said Herve Berville, a young MP of Rwandan origin, who was orphaned during the genocide and adopted by a French family, would represent France instead. Macron, meanwhile, will meet on Friday with representatives of Ibuka, an association of genocide survivors — the first such meeting between the group and a French leader. Analysts attributed his decision not to travel to Kigali to ongoing divisions in France over whether Paris really has a case to answer over the genocide. ‘It would have been hard for him to go to the 25th anniversary without presenting France’s apologies,’ Antoine Glaser, former editor of a French newsletter on Africa, La Lettre du Continent, told AFP. But to do so ‘would have wrong-footed a whole section of the French army which considers that it did an OK job, that it was alone down there in a complex situation,’ he added. Alain Gauthier, president of an association that has spent nearly two decades hunting down people living in France suspected of involvement in the genocide, called Macron’s absence ‘almost indecent’. Glaser and Gaulme said they did not expect Macron’s no-show to threaten the fragile rapprochement between Paris and Kigali, however. ‘Macron is interested in seeing Rwanda shine,’ Gaulme said, referring to the spectacular economic recovery under Kagame, although progress has been clouded by allegations of authoritarianism. Quick to lash out at France over perceived snubs, Kagame did not appear to take umbrage at Macron’s absence. ‘We have always demanded that our partners … allow us to decide freely how we act. It is only normal therefore that they too be free to make their own decisions,’ he told the Jeune Afrique.